Notice: Inspirer pet enjoys a three-day holiday from September 15th to 17th. The Mid-Autumn Festival, also called the Chinese Moon Festival, is one of the most important annual festivals for the Chinese people and is an official holiday. Perhaps most importantly, it is a day for family reunion. This lively festival takes place on the 15th day of the 8th Chinese lunar month every year, so its exact date by the Western calendar is different every time. 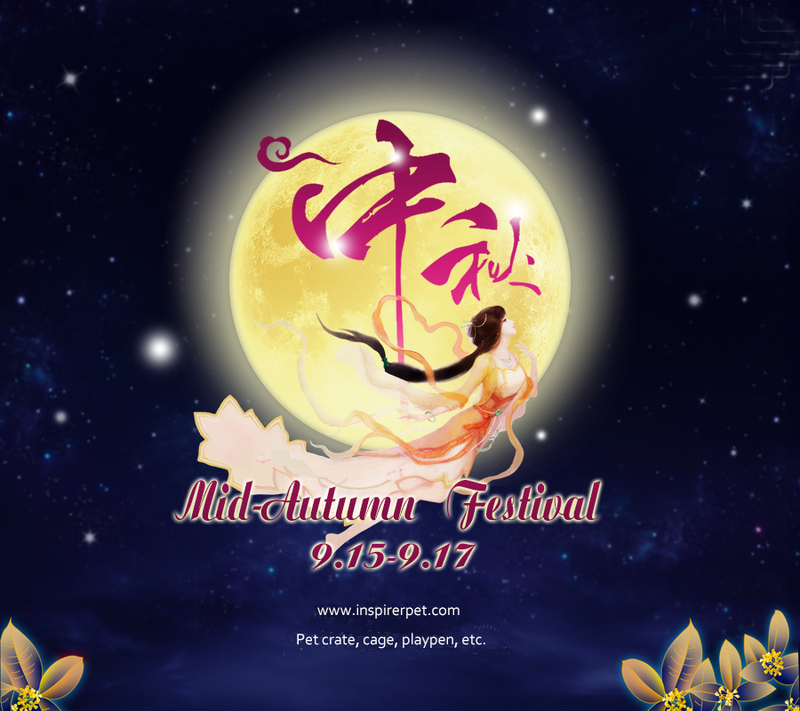 This year Mid-Autumn Festival falls on September 15th. The holiday lasts from September 15th to 17th. Full of joy and happiness, friends and loved ones gather to celebrate a time when the moon is at its fullest and brightest of the whole year, and everyone gathers together to delight in eating moon cakes and appreciating the spectacular beauty of the full moon. The celebration of Mid-Autumn Festival can be traced back to long time ago. It has developped various versions of lengends and customs. If you are interested, welcome to China and explore the mystery of this interesting festival!